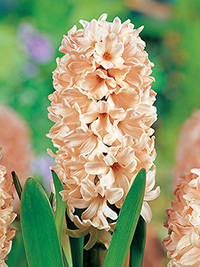 Peach coloured hyacinth, an absolute delight. Has a lovely sweet fragrance. Early spring flowering, 25 cm tall.